Our New Wine - Ageri ! ‘Ageri’ is the name of our new and exciting white wine, made from the white vinification of Fokiano grapes, (Blanc de Noirs) with Assyrtiko and Athiri. We believe we are the first winery to produce this unique blend! ΑΓΕΡΙ - Προέρχεται από την λευκή οινοποίηση της τοπικής ερυθρής ποικιλίας Φωκιανώ και τις νησιωτικές Ασύρτικο και Αθήρι. 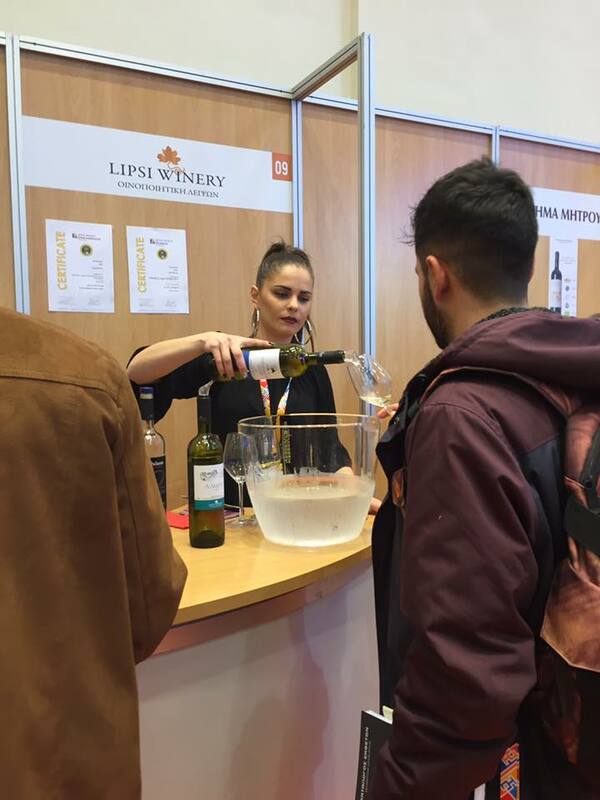 For the fourth year running, we were proud to exhibit our wines at Oenorama, the largest expo of Greek wines in the world! 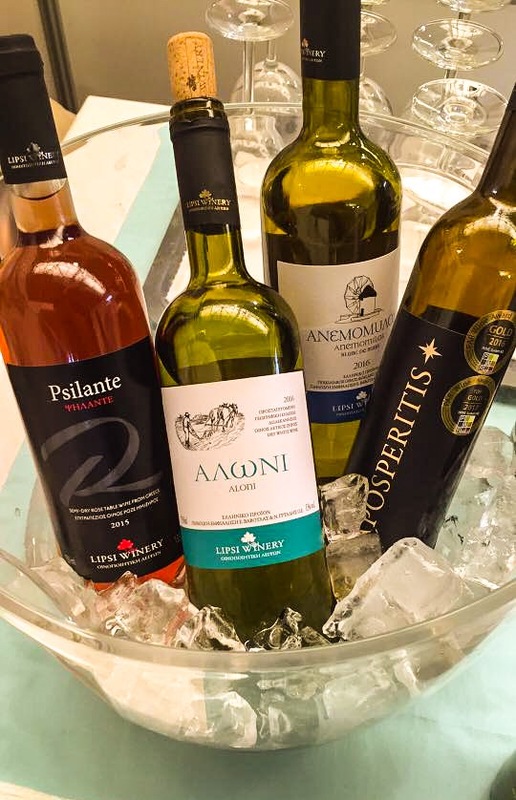 Aposperitis in list of top 20 Greek Wines! A lovely to start to 2019! 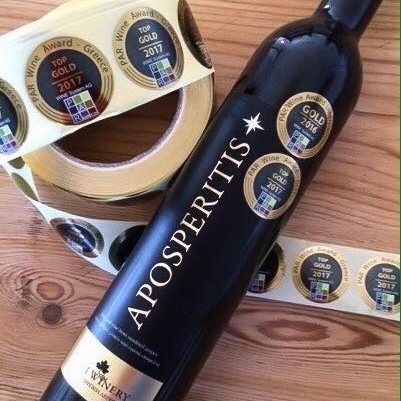 Our sweet red wine, ‘Aposperitis’, has been selected by the tasting panel of Oinos, for their list of top 20 Greek wines of 2018! Ο Αποσπεριτης μας είναι στα 20 κρασιά του Ελληνικού αμπελώνα που πήραν τις υψηλότερες βαθμολογίες από την ομάδα του Oinos την χρονιά που πέρασε! A few photos of a very busy summer season! This year we were pleased to take part in two major exhibitions in Athens - FoodExpo and Oenorama 2018! Φέτος ήταν χαρά μας να συμμετάσχουμε σε δύο μεγάλες εκθέσεις - FoodExpo και Oινόραμα 2018! We were very pleased to be invited to take part in the Enoteca di Rodi Wine Exhibition, which took place at the Plaza Hotel in Rhodes, on 27th & 28th February. Our new dry, red wine 'GEROMAVRO' has just been bottled. A unique and dynamic blend of Syrah and Mandilaria, from our youngest vineyards here on Lipsi. Full-bodied with concentrated forest fruit aromas, rich in tannins and with a long after-taste. Classic red vinification and aged for 12 months in oak barrels. This is a wonderful addition to our collection of wines. 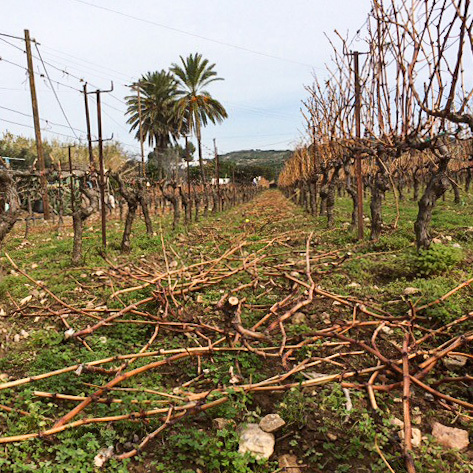 We've started pruning in the Fokiano vineyard at Panagia Tou Xarou - weather permitting! Το κλάδεμα ξεκίνησε στο αμπέλι του Φωκιανού στην Παναγιά του Χάρου! We are delighted that two of our wines, 'Aloni' and 'Aposperitis' have been selected as part of the menu for two special fund-raising evenings at 'Avec' restaurant in Chicago. The menu will feature Syrian dishes and Greek wines and part of the profits will benefit RefugeeOne, an organization who support and help refugees from Syria and beyond. Our thanks to Eklektikon Wines for involving us in this worthwhile event. ANOTHER GOLD! Ένα άλλο χρυσό! We are very pleased to receive a third gold medal for our Aposperitis! 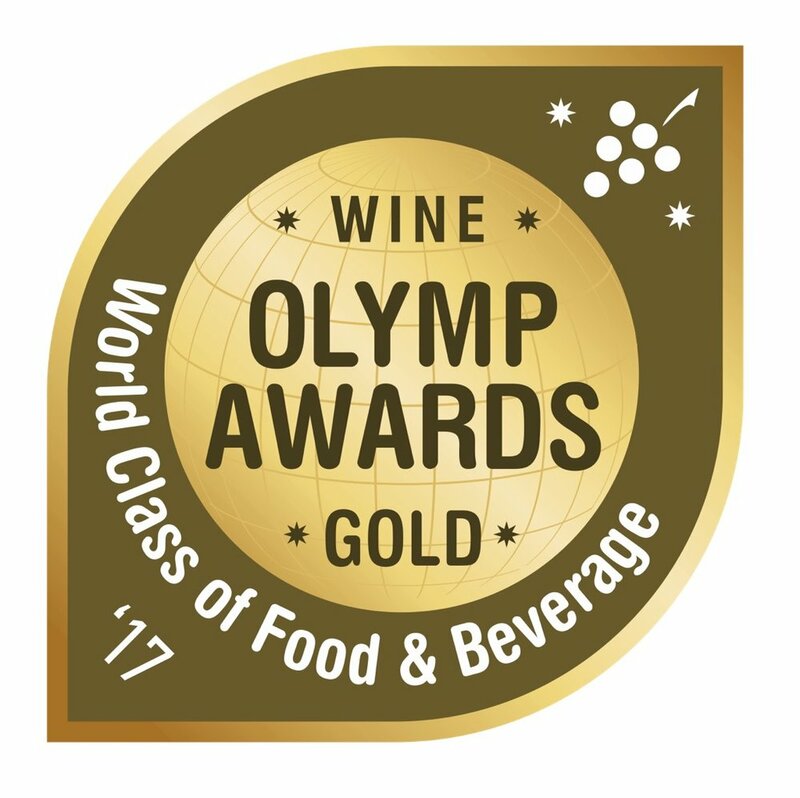 Thank you to the Wine & Spirits Olymp Awards 2017, which was held in Athens a few weeks ago. Για ακόμη μια φορά ο Αποσπερίτης μας μας έκανε περήφανους! Κέρδισε άλλο ένα χρυσό βραειο στον dιαγωνισμό 'WINE & SPRITIS OLYMP AWARDS 2017' που πραγματοποιήθηκε στην Αθήνα. Our thanks to the South Aegean District Council for inviting us to take part in the 'Ellados Yefsi Expo', which took place in Athens 18 - 21 May 2017. This exhibition aims to present a complete and positive picture of Greece through three themes - Gastronomy, Tourism and Culture. We were proud to be there! Our Aloni 2016 included in list of top white wines! 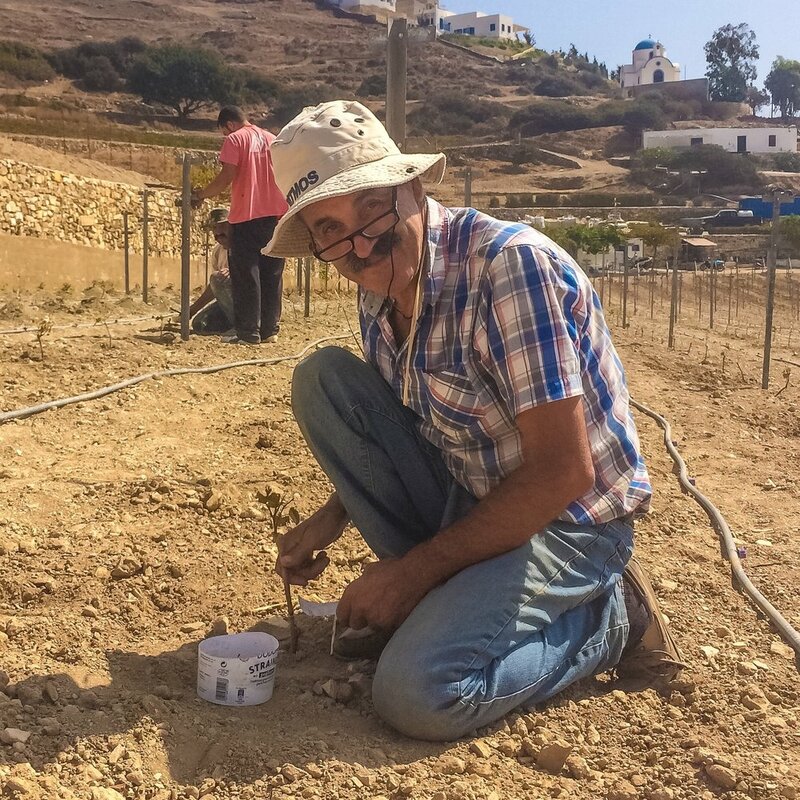 We are delighted that top wine critic Simos Georgopoulos, included our Aloni 2016 (Assyrtiko/Athiri blend) in his list of 12 recommended white wines from this years Oenorama exhibition! 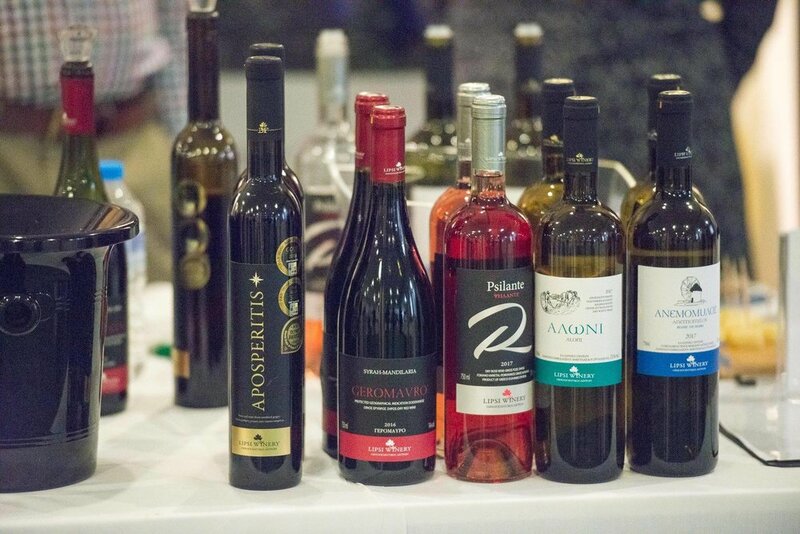 The exhibition took place in Athens in March and over 300 wineries took part. Ο οινογράφος αλλά και κριτικός Σίμος Γεωργόπουλος παρουσιάζει με τα λευκά που ξεχώρισε φέτος στο Οινόραμα. Το Αλώνι μας ειναι στη δεύτερη θέση! We've just bottled out unique Blanc de Noirs, ANEMOMILOS! This is a light, refreshing, dry white wine made from Fokiano grapes. We are the only winery to produce a white wine from this variety, which is traditionally used for sweet red wine. Εμφιάλωση ΑΝΕΜΟΜΥΛΟΣ 2016 - το εξαιρετικό Βlanc de Noirs μας, από Φωκιανά σταφύλια! APOSPERITIS wins a second medal! 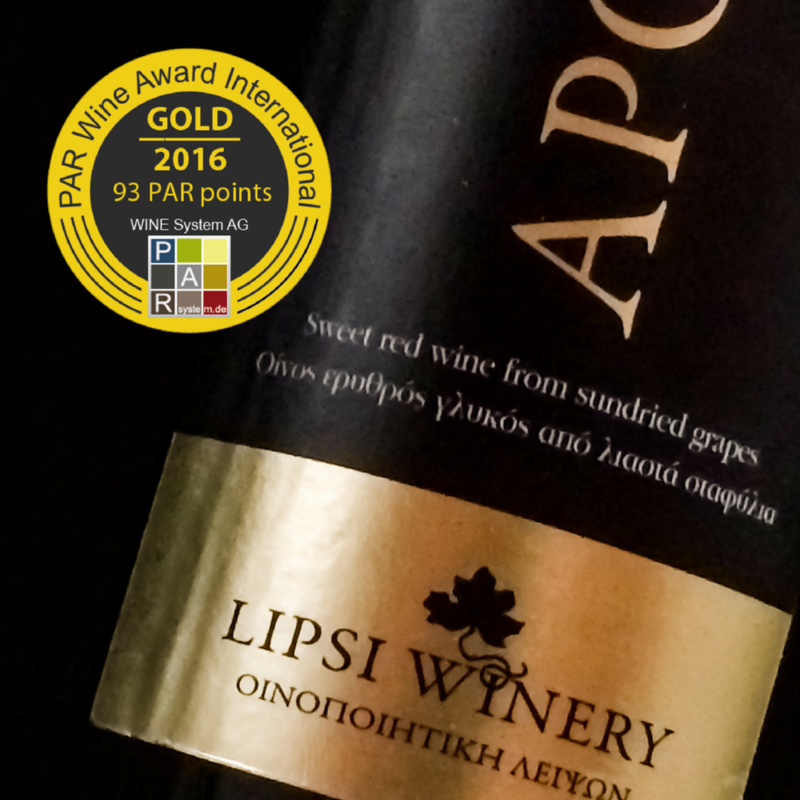 We are very proud to have won a second medal for our Aposperitis 2013 - a Top Gold in the 2017 PAR Wine Award Greece! The medals arrived today from Germany! Ο Αποσπερίτης κερδίζει ένα δεύτερο μετάλλιο - το Μεγάλο Χρυσό, απο το Διαγωνισμός Ελληνικού Κρασιού 2017 στη Γερμανία! 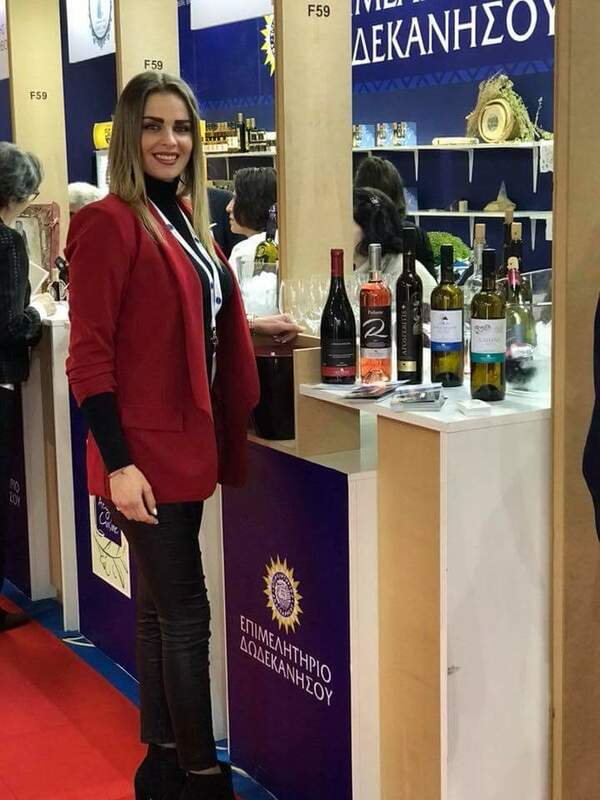 We were pleased to exhibit our wines again at 'Oenorama' , the largest exhibition of Greek wines in the world, which took place at the Zappeion, Athens, 11th - 13th March,. We are proud to announce that our sweet wine Aposperitis 2013 has been awarded a Gold, in the PAR Wine Award International 2016, which took place on 9th & 10th December in Germany. It was the first time that we've entered a wine into a competition, so we're extremely pleased with the result!!! 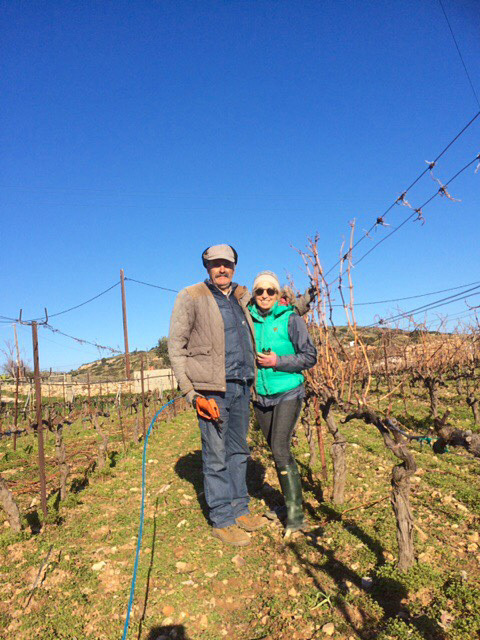 For the past two days we've been grafting our new vineyard at Ipsilandi, with the variety Fokiano. Yesterday it was very hot in the morning and sombreros were required!!! Χθες και σήμερα στις Υψηλάντη, εμβολιάζουμε ένα νέο αμπέλι με Φωκιανό! Our Aloni Wine takes to the skies! We are delighted that this September, Aegean Air has chosen our dry white wine 'Aloni', to be served to Business Class passengers on all international flights. It will also be served to Gold Club members at airport lounges in Athens, Thessaloniki and Larnaca. This is part of the Aegean Air 'Closer to Greece' program, which this month features the Dodecanese. H Aegean Airlines σερβίρει για τον μήνα Σεπτέμβριο, το Αλώνι 2015 στην Business Class πτήσεων εξωτερικού αλλά και στα σαλόνια για τους Χρυσούς επιβάτες σε Αθήνα, Θεσσαλονίκη και Λάρνακα! A very busy month! We've had some excellent harvests this August and have more grapes to pick next week!